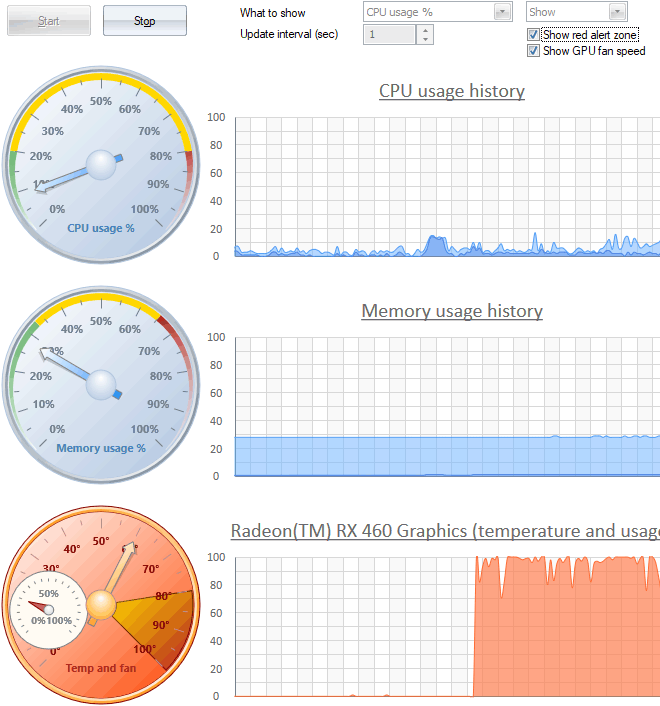 On this tab, you can view current CPU load, RAM utilization, GPU load, temperature and fan speed. By default, the refresh interval is set to 2 seconds. Be careful: gathering these statistics also takes CPU time; therefore, when running 'heavy' attacks, such as brute force, it is recommended to keep the system monitor disabled.